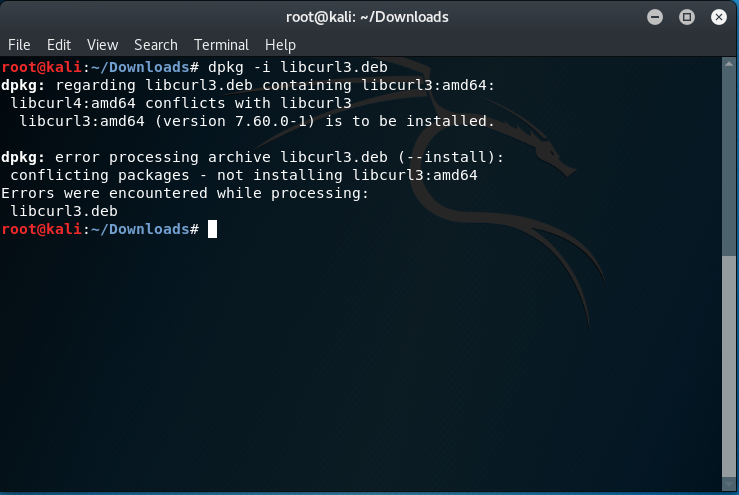 Discussion How do I download and install libcurl3 Kali? I'm back. I got it to work but have another question. I ran apt-get autoremove libcurl4 and it deleted a lot of stuff (hopefully that won't be a problem?) Then I ran apt-get install lilbcurl3 and it finished. Then I ran "apt -y install powershell" and it worked! Now I type pwsh like your link and it opens fine. My questions is should I re install libcurl4? It removed a lot when I ran it and I don't want any problems with other things. Hi, libcurl3 was automatically removed and libcurl4 was updated. Now pwsh doesn't work. Is there any workaround for this? I was using the instructions from Kali's website.